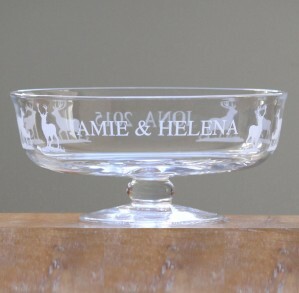 If you would like to have an embellishment this will be engraved either between the beginning and end of the text if you have chosen Band or below the text if you have chosen to have your text engraved on the front. 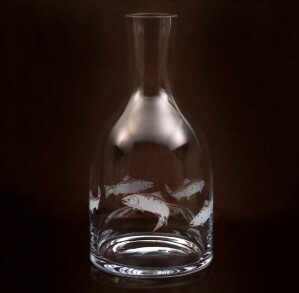 Having this beautiful Country carafe personalised with your choice of text makes a thoughtful gift. 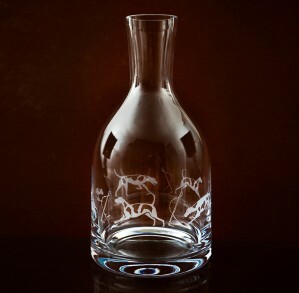 Suitable for wine or water this carafe will be a daily reminder of a special occasion or event, or a dramatic way to deliver a message of love or thanks. 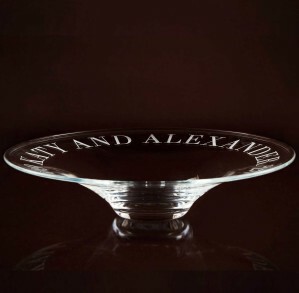 Choose the font you would like then type in the wording you would like to have engraved.Your text will be engraved in capital letters unless you choose Roundhand font which will be engraved in upper and lower case. 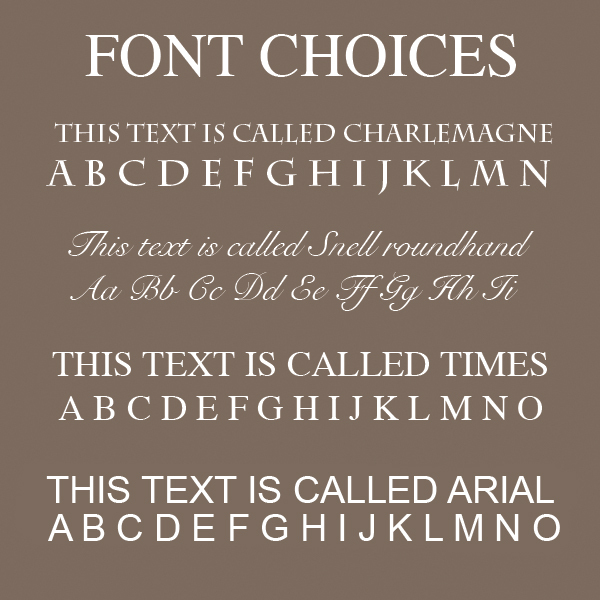 Personalise with a minimum of 5 and maximum of 60 characters including spaces. 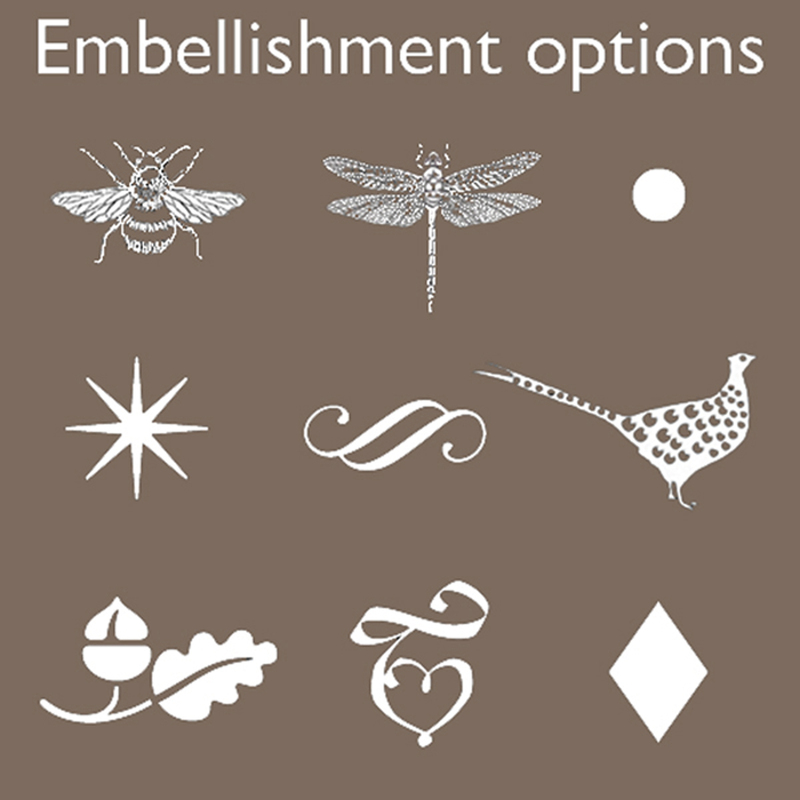 You can then choose an embellishment which marks the beginning and end of your text. Generally we engrave your text in a band around the carafe which looks lovely but if you wish you have the option to have your text engraved only on the front of the carafe. 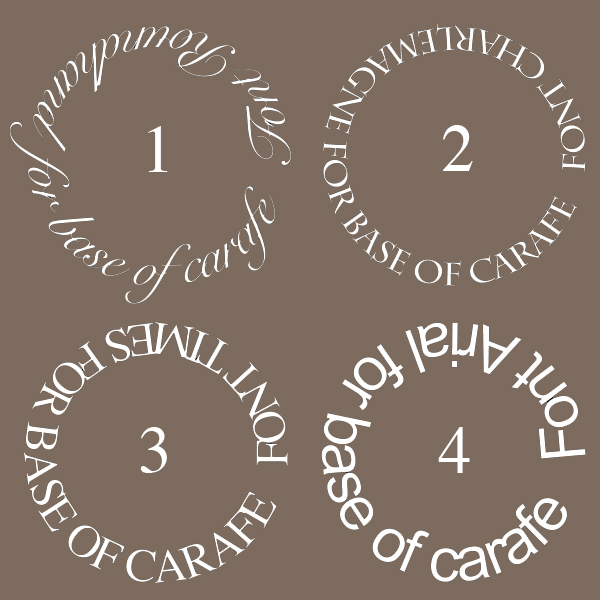 You may also have a circle of text engraved on the underneath of the carafe for an additional £15. 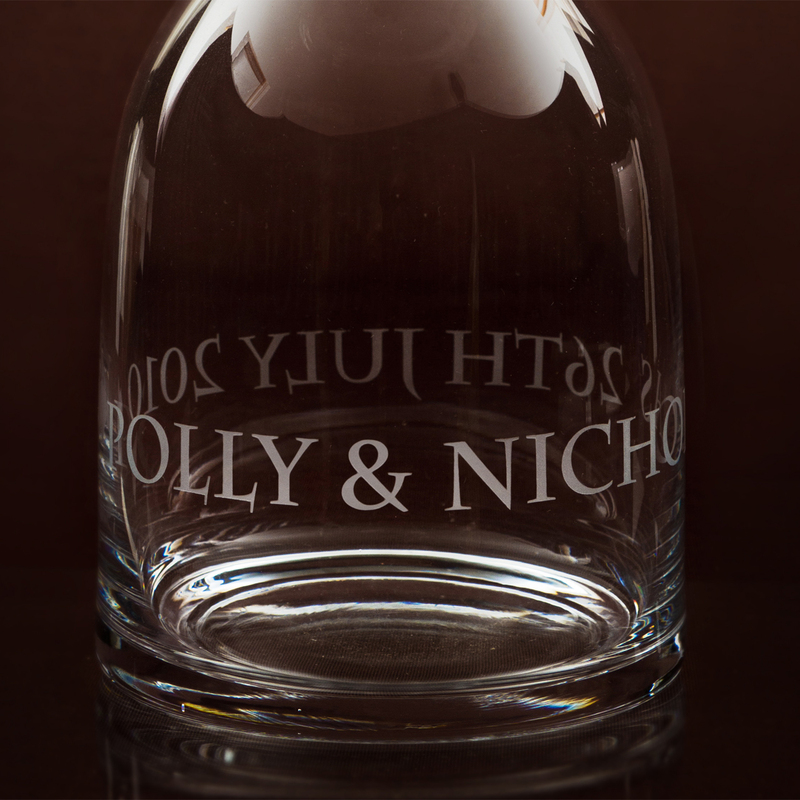 The text will be engraved the correct way round when viewed through the glass, ie when the carafe is on a table. 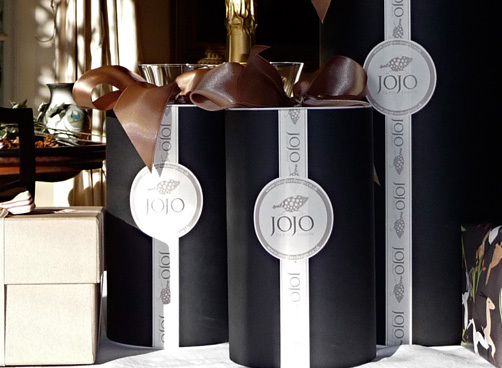 Your carafe will be packed in a beautiful box tied with a ribbon. 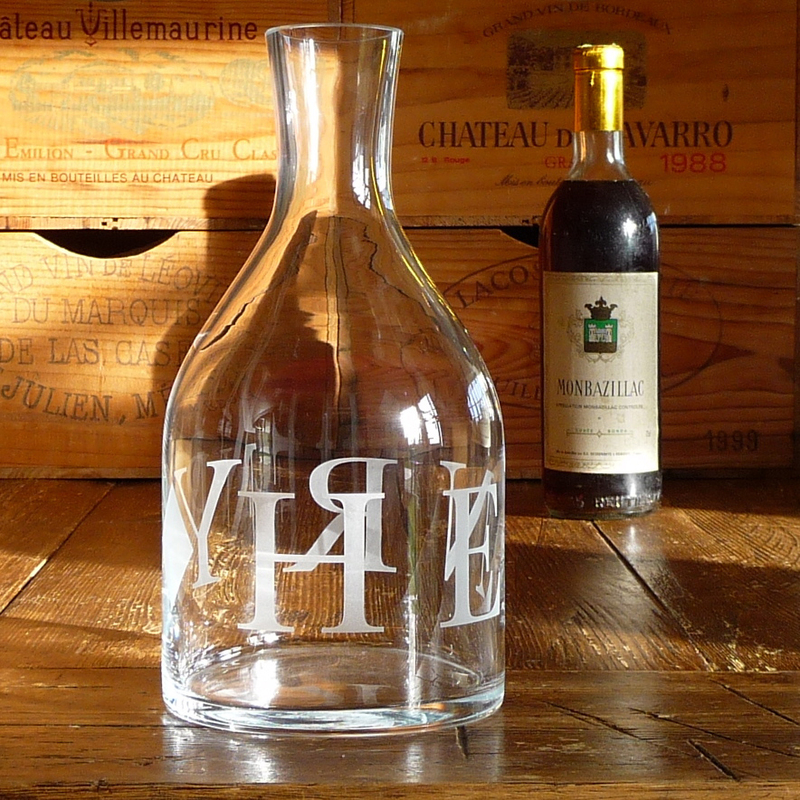 Bought 3 personalised carafe’s for men’s 50th Birthday presents. They are absolutely stunning and they’ve all loved them…So much so my husband wants one too. Beautifully wrapped and looks so special when they are opened. I have given many of these as wedding presents and everyone is always delighted with them. 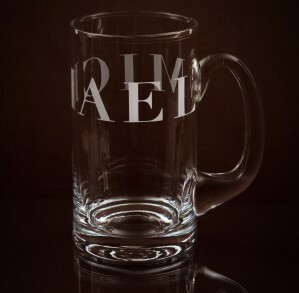 I particularly like having initials on the latest one. Lovely quality product. Beautifully wrapped too. A great service. 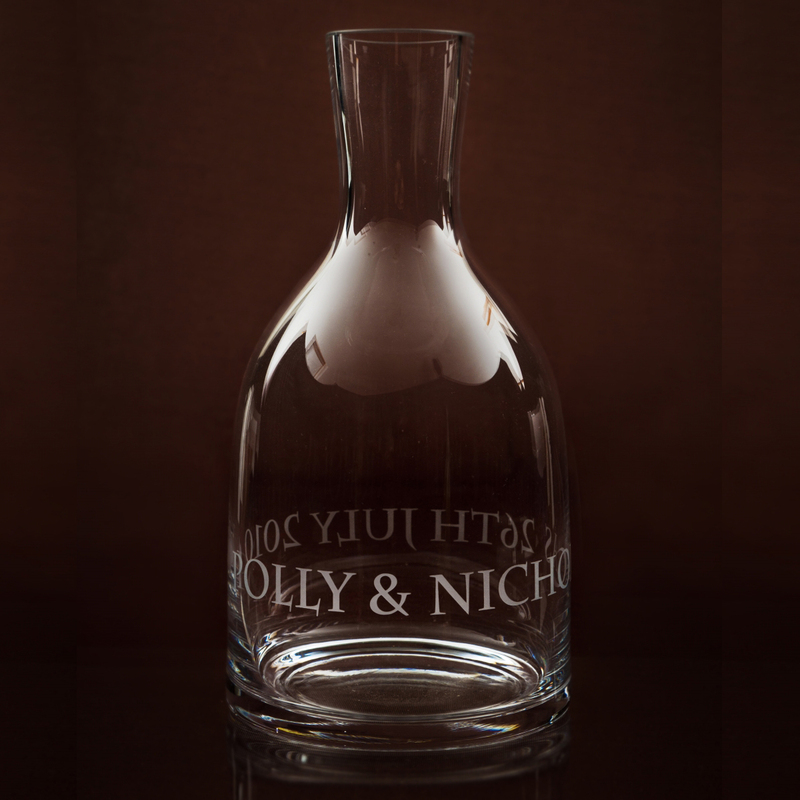 My company is delighted with the four personalised carafes that we ordered as presentation pieces to our important clients. We will certainly order them again. I have just taken receipt of my carafe and am absolutely delighted. 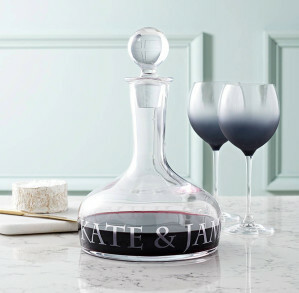 The carafe itself is larger and more substantial than I had realised and the sandblasted letters around the base look beautiful, elegant and understated and just perfect. An added bonus is the attractive wrapping with a beribboned top. Many thanks indeed and with plenty of 50th birthdays coming up I am sure I will be placing more orders. 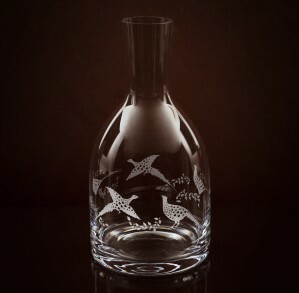 Engraved carafes exquisite – beautifully done and exactly as we’d imagined them – many many thanks. 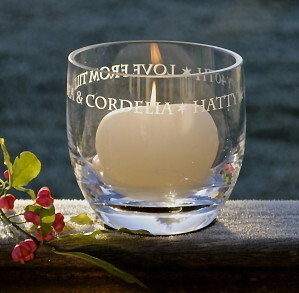 Have lots of relations in france and there’s always someone getting married – we now know to look no further than you for future wedding presents!!! P.S. The packaging is also incredibly smart! 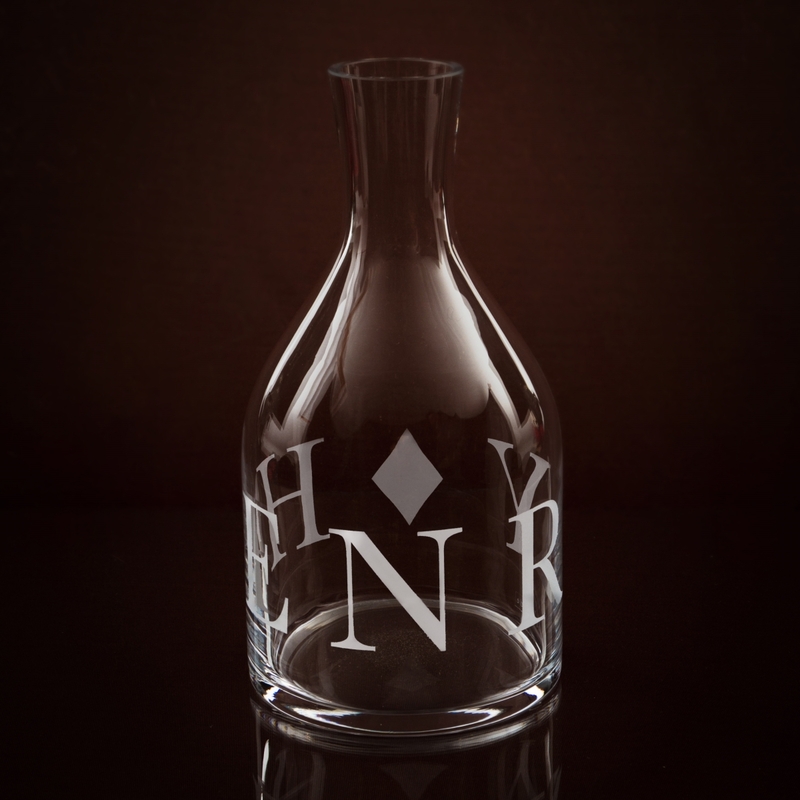 Just a brief note to say that the glasses and carafe looked wonderful and were very well received at the weekend. The crest stood out very well and my parents loved the collection. Many thanks and I’m sure we will be in touch before long!